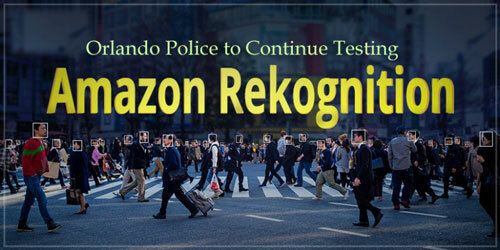 Why Orlando Police Will Continue Testing Amazon Facial Recognition Software? An unknown Amazon employee has spoken against its own company Amazon selling its facial recognition software to the police departments. The employee wrote an open letter on Medium signed by more than 450 employees to Jeff Bezos and other leading executives of the company that demands the company to stop supplying this tool to law enforcement department. Basically, this facial recognition software which is known as "Rekognition" designed to provide the help to law enforcement. Rekognition is a deep machine learning based service which is capable to store and search the tens of millions of faces at a single time. This software allows detecting the objects, scenes, activities and inappropriate content. Earlier in July month, the ACLU tested the tool and misidentified 28 US lawmakers as criminals. So we are not sure about the efficiency of this tool but Amazon claims the system is 80-percent accurate. The anonymous Amazon employee describes the possible risk by designing such kind of tool and told the media that it is not about accuracy but rather about allowing the US government with tools of mass surveillance and Trump administration will use this technology to deport honest immigrants. Amazon has not yet responded to this letter! What's your take on this sensational revelations? Bloomberg, in an article on its website, has claimed that Chinese spies have theft data from 30 US organizations including Apple and Amazon by installing a kind of chip on the server circuit boards. All these boards are manufactured by a reputed company named Super Micro Computer and many other companies use its hardware. According to Bloomberg's article, the servers had been imperiled amid the assembling procedure and the installed chips initiated once they were attached to the board and got a supply. The spying chip is very small in size even smaller than a small button. But Apple disaffirmed this news by making an announcement that it did not find any proof to affirm this theft news with Amazon and Super Micro Computer. Bloomberg said the primary points of interest in regards to the spying effort developed amid security testing did by Amazon in 2015, preceding it started utilizing servers from US organization named Elemental, which had been fabricated by Super Micro Computer at plants in China. And therefore, Chinese spies were able to attach the chip to the boards. 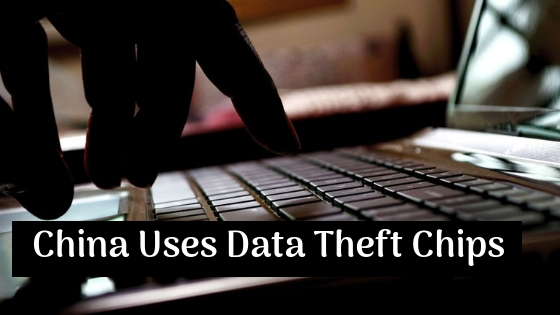 But the companies have declined this news of getting their data stolen by any company. SeleniumConf is coming to Chicago (USA) for a two-day conference on 18th and 19th of October 2018 preceded by a one-day workshop on 17th of October. This conference is organized for Selenium test automation professionals by Sauce Labs and other sponsors. The purpose of this conference is to serve the Selenium software users and testers. Selenium software is an open source testing software for web-based test automation. The conference aims mainly at Selenium issues and bugs, with some additional testing topics and exchange of ideas and experience. Star Canada is a six-day conference, going to be organized in Toronto (Canada) by TechWell from 15th of October to 20th of October. The conference is being held to serve a purpose of in-depth training, half and full day tutorial, short sessions, and a leadership summit in the field of test automation. The TechWell invites software testers, Test Managers, QA Analysts, Developers, and Test Practitioners to attend this conference and share their ideas and experience. EuroSTAR Software Testing Conference is the most successful and longest-running conferences in the world and being organized since 1993. Every year, a newly opted program committee and the panel of 40 volunteers hold more than 500 presentations and select the best to create a comprehensive program that is aligned with a broad range of subjects and test specifications. Software Testers, Test Consultants, IT managers, and other related professionals are invited to attend the conference. The Agile Testing & BDD eXchange conference is a two-day conference going to be held in London (UK). As from the sources, its organizers have said that the conference is going to get a new name and face. Software Testers, Managers, and developers with other professionals can attend this conference for behavior-driven development. The software testing looks tiring but the businessmen know that it is an important thing for them and is constantly improving regularly with the help of new technologies. The betterment of testing would not be possible without Artificial Intelligence and automation tools. The purpose of the conferences discussed above is to help professionals updating their knowledge and skills. By visiting such conferences you are able to learn more about software testing from the best QA experts, and Testing Managers.